please type – spring behind the corner – in checkout. free shipping on multiple orders. Note: Posters currently on sale won’t work with the coupon. Free shipping on multiple orders, please select in checkout. 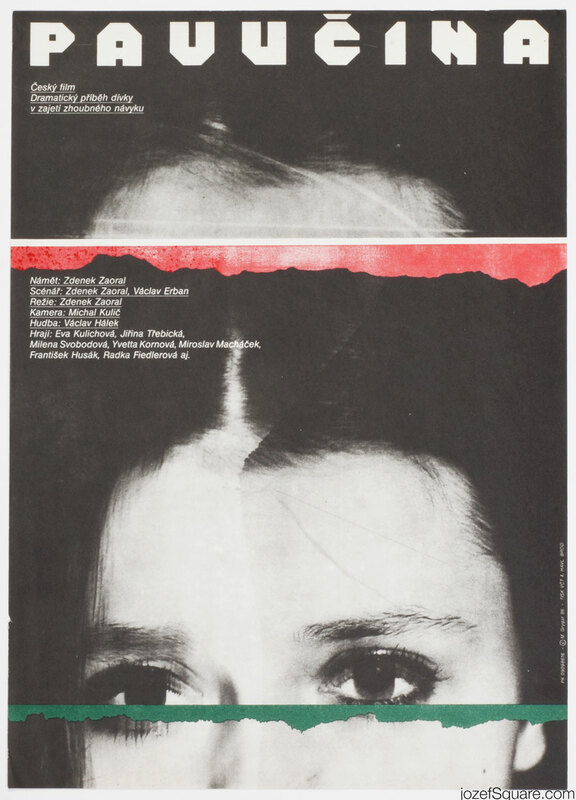 King’s Mistake movie poster by Milan Grygar, 1969. Spiderweb movie poster by Milan Grygar, 1986. The Great Dictator movie poster by Milan Grygar, 1977. 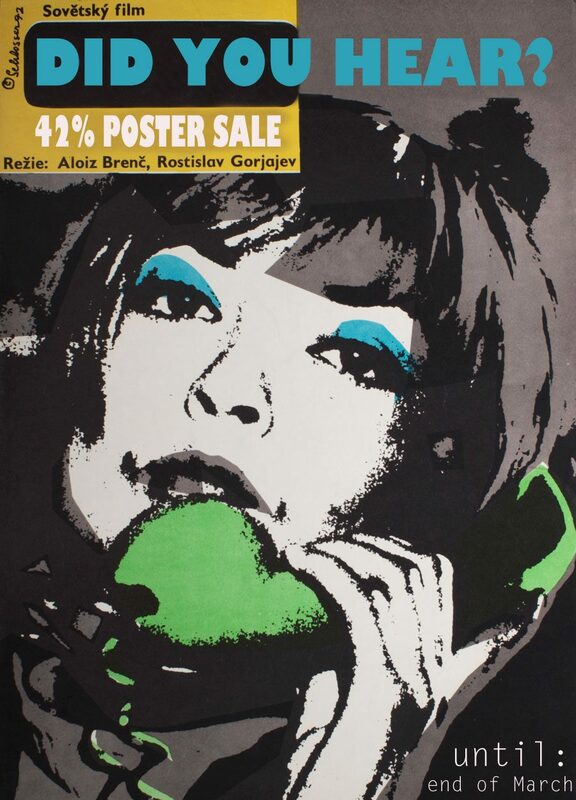 Limelight movie poster by Milan Grygar, 1973. 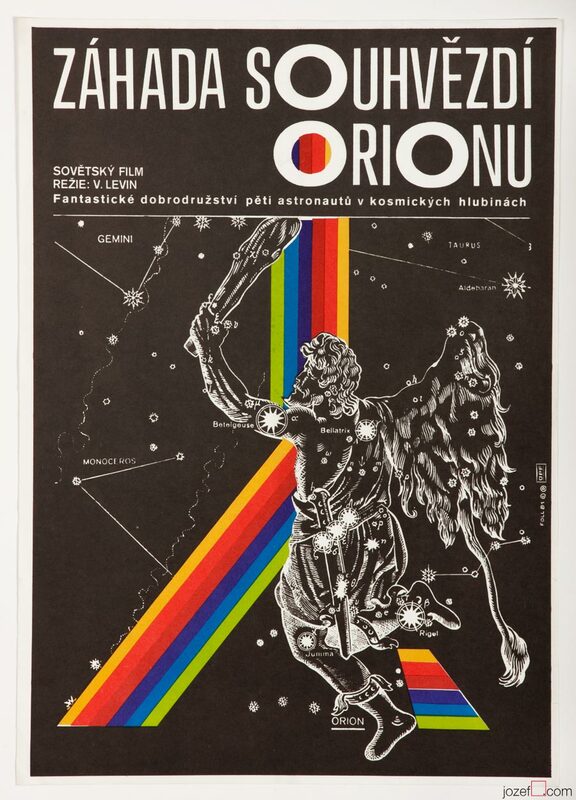 Orion’s Loop movie poster by Dobroslav Foll, 1981. The Black Stallion movie poster by Júlia Buková, 1979. 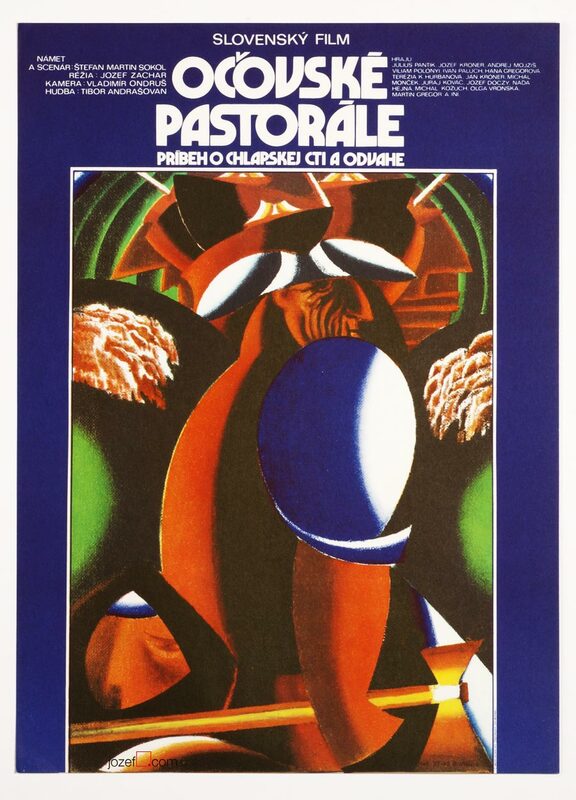 A Pastoral Of Očová movie poster by Milan Laluha, 1973. 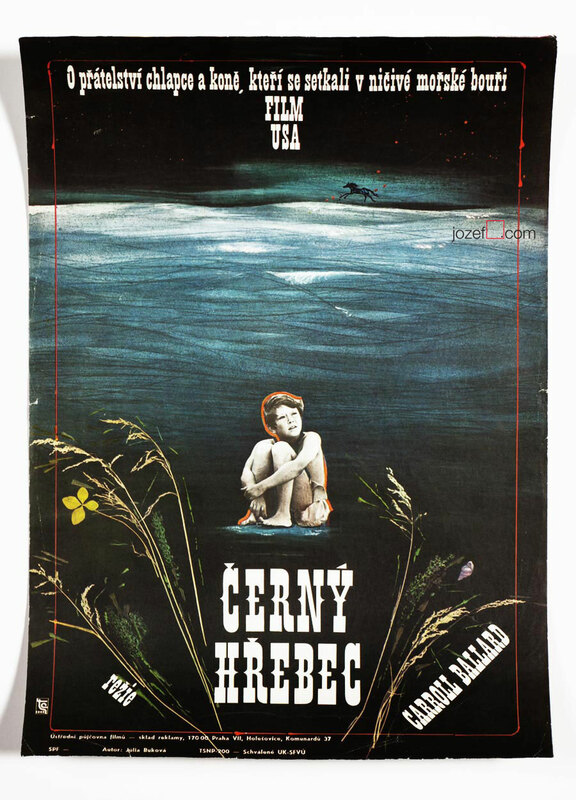 Les Grandes Vacances movie poster by Jaromír Gal, 1969. 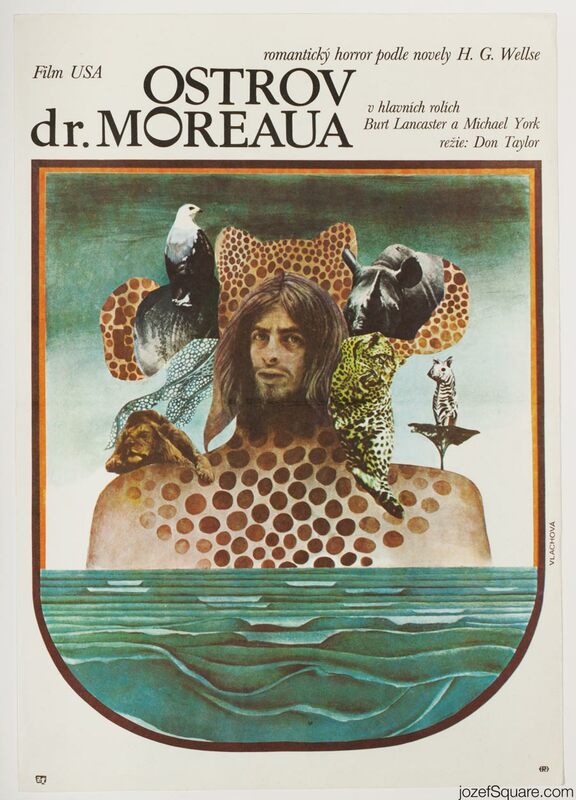 The Island of Dr. Moreau movie poster by Renáta Vlachová, 1978. 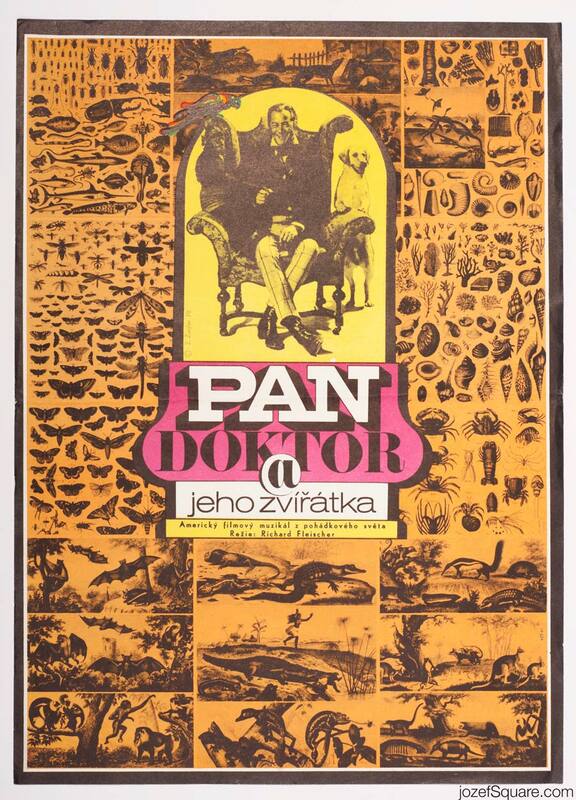 Doctor Dolittle movie poster by Zdeněk Ziegler, 1970. 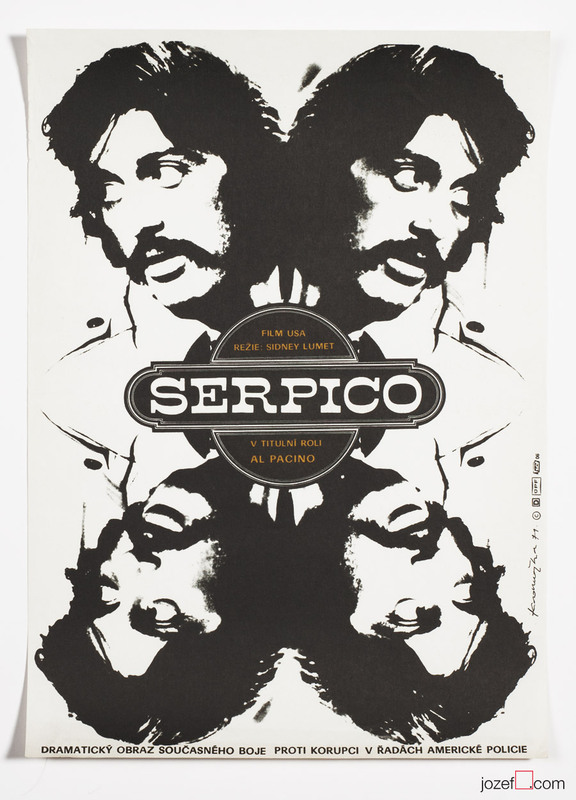 Serpico movie poster by Dimitrij Kadrnožka, 1979. 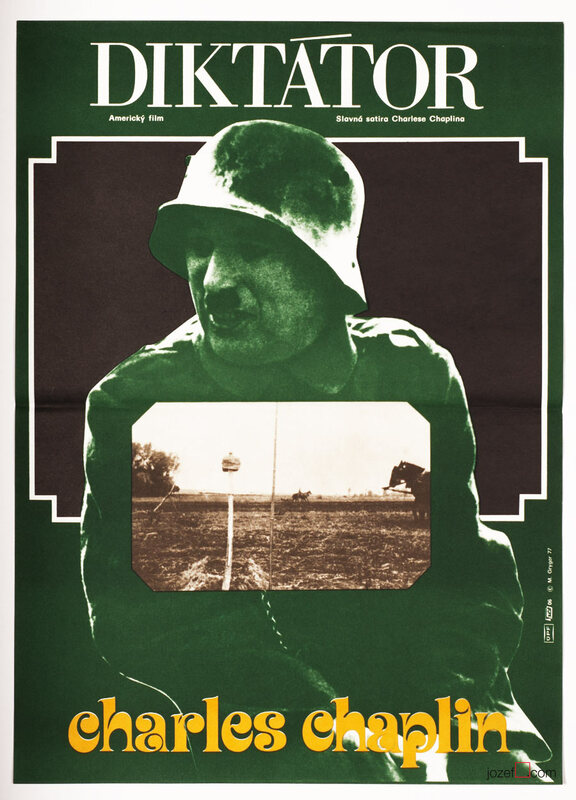 The Hiding Place movie poster by Libor Fára, 1979. Madly in Love movie poster by Karel Vaca, 1984. Posters currently on SALE don’t work with the coupons above. Please select FREE SHIPPING, if you’ll go for more posters. Subscribe to our newsletter for archive / blog / shop highlights or special offers. 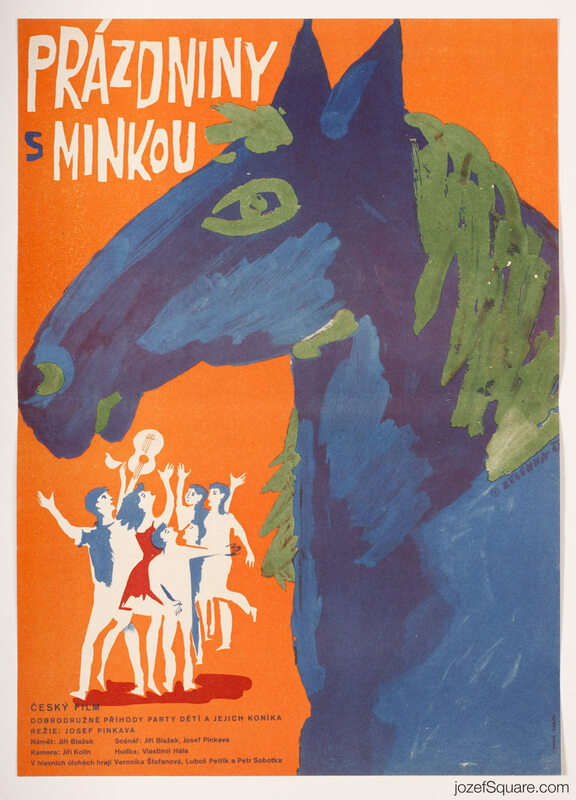 Holiday with Minka movie poster by Jaroslav Zelenka, 1963. 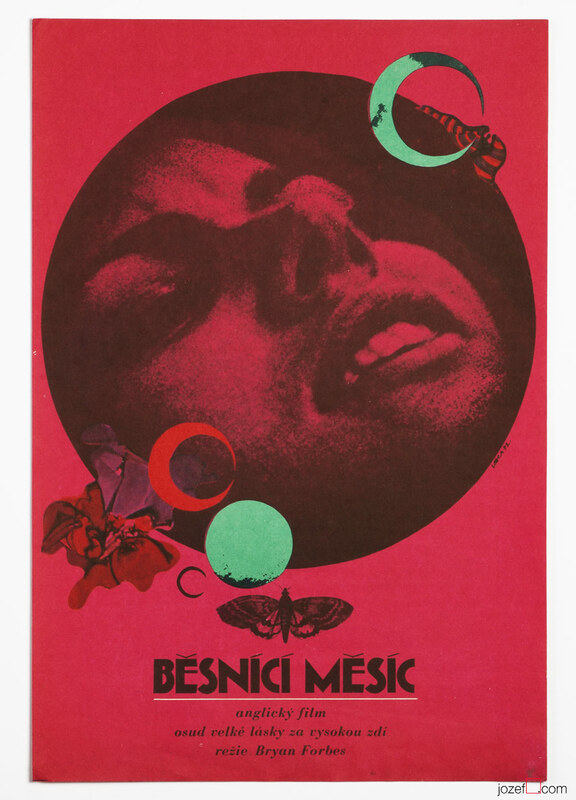 Angel Baby movie poster by Eva Galová-Vodrážková, 1968. 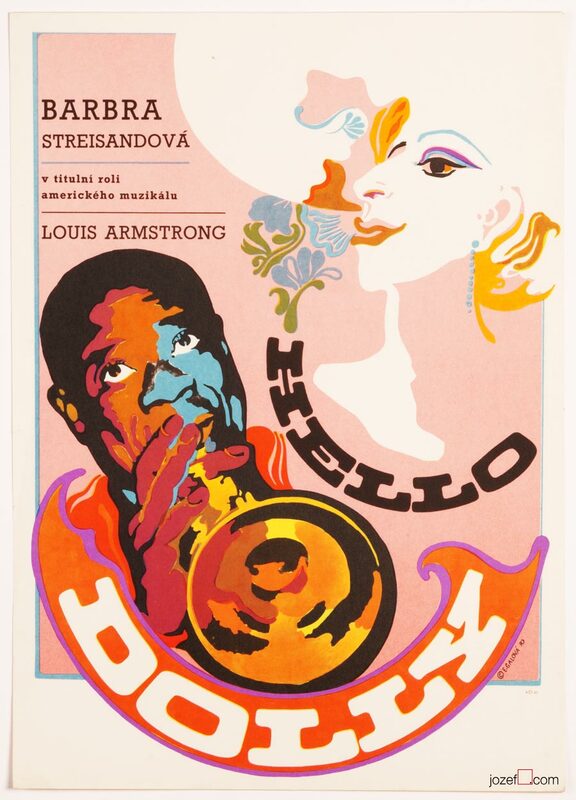 Hello Dolly poster designed by Eva Galová-Vodrážková, 1970. 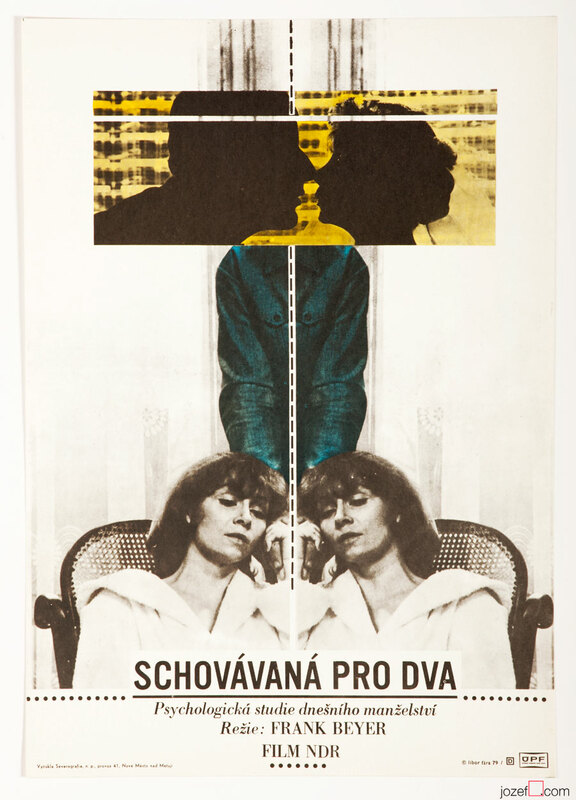 Love Affair movie poster by Eva Galová-Vodrážková, 1968. Long Ago, Tomorrow movie poster by Karel Vaca, 1971. 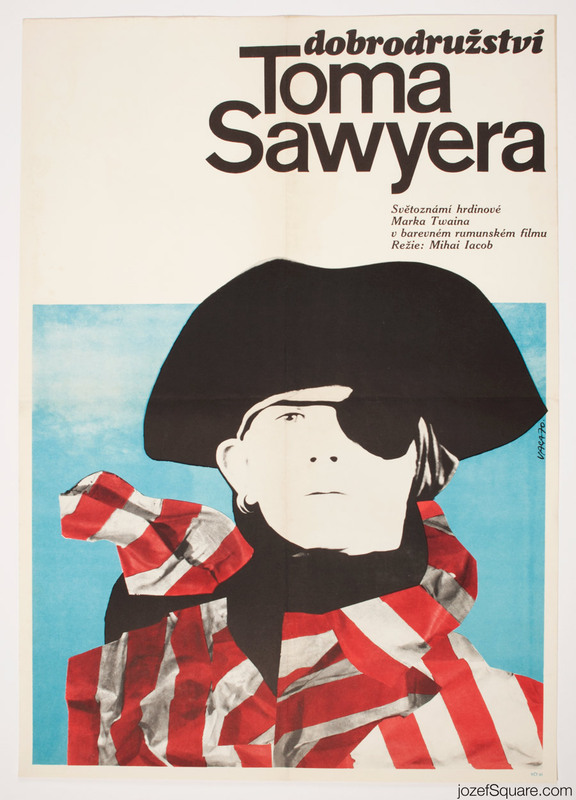 The Adventures of Tom Sawyer movie poster by Karel Vaca, 1970. 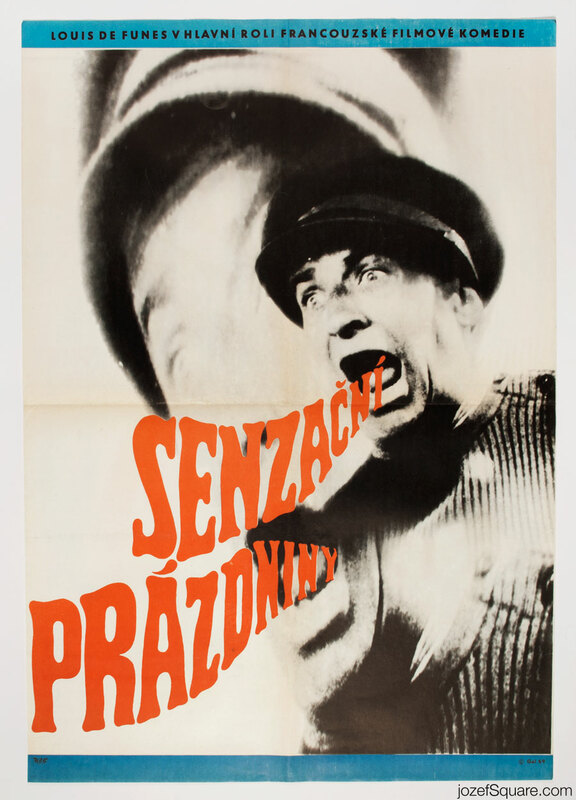 Dead Man Suspected movie poster by Josef Vyleťal, 1970. 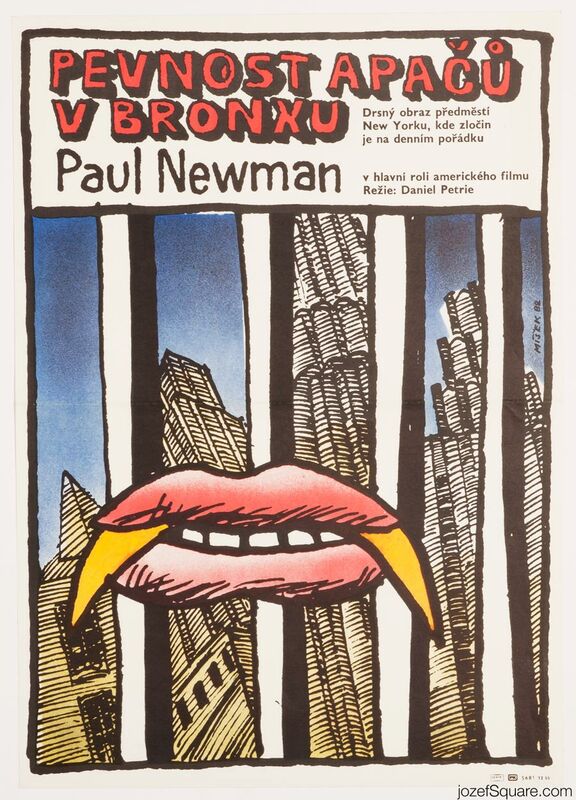 Amarcord movie poster by Josef Vyleťal, 1974. 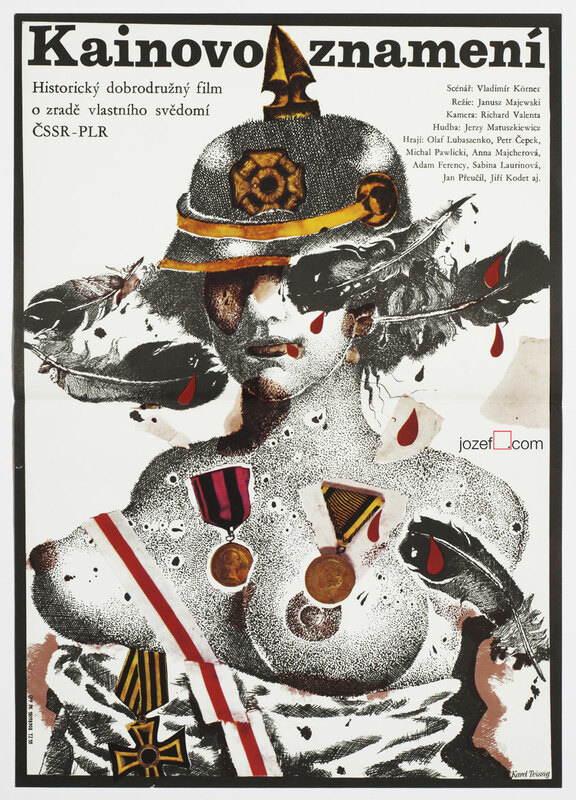 The Hotshots movie poster by Olga Stárková, 1969. 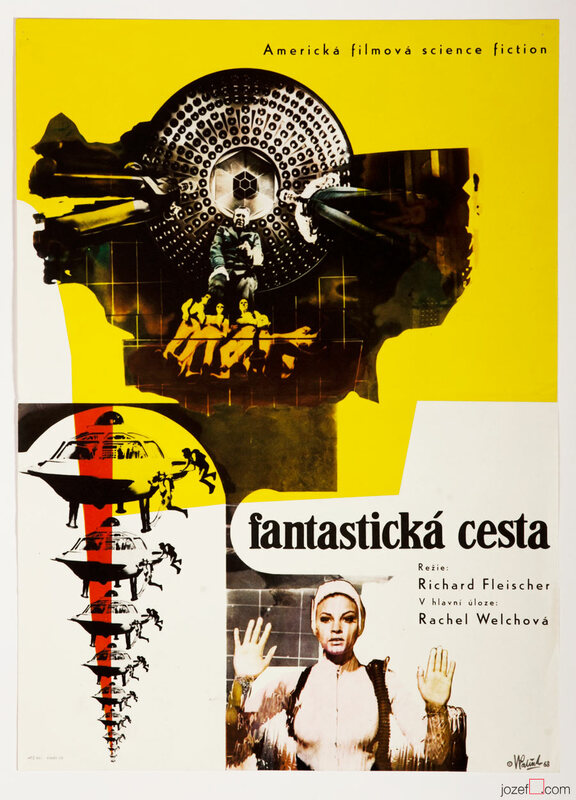 Fantastic Voyage movie poster by Vladimír Václav Paleček, 1968. Movie poster The Gold Rush by Milan Grygar, 1979. 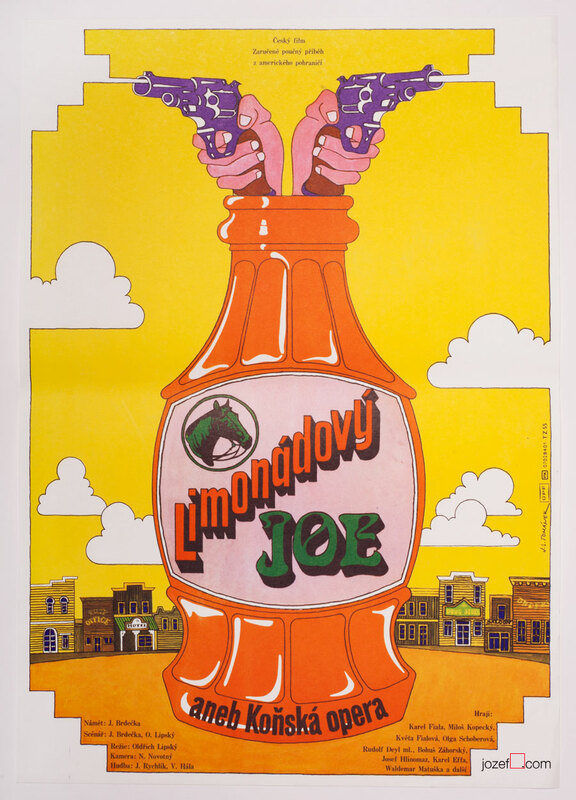 Lemonade Joe movie poster by Jan Tománek, 1984. 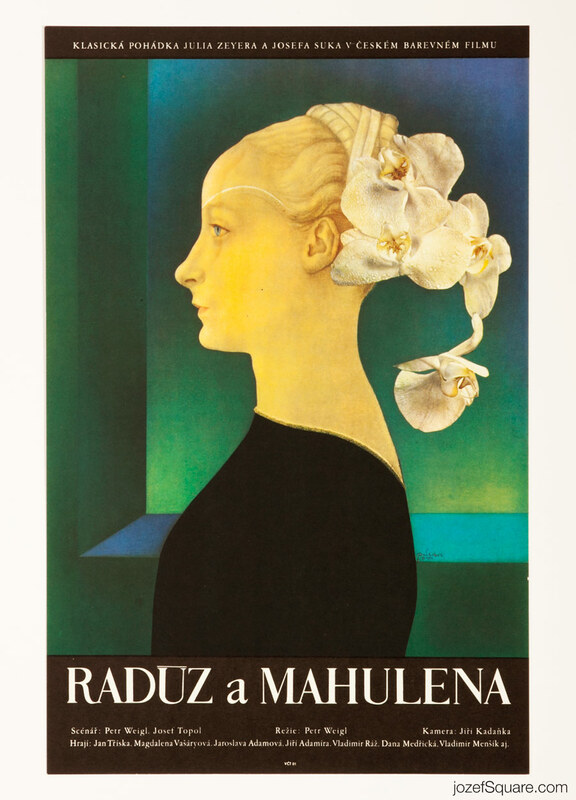 Radúz and Mahulena movie poster by Olga Poláčková-Vyleťalová, 1971. 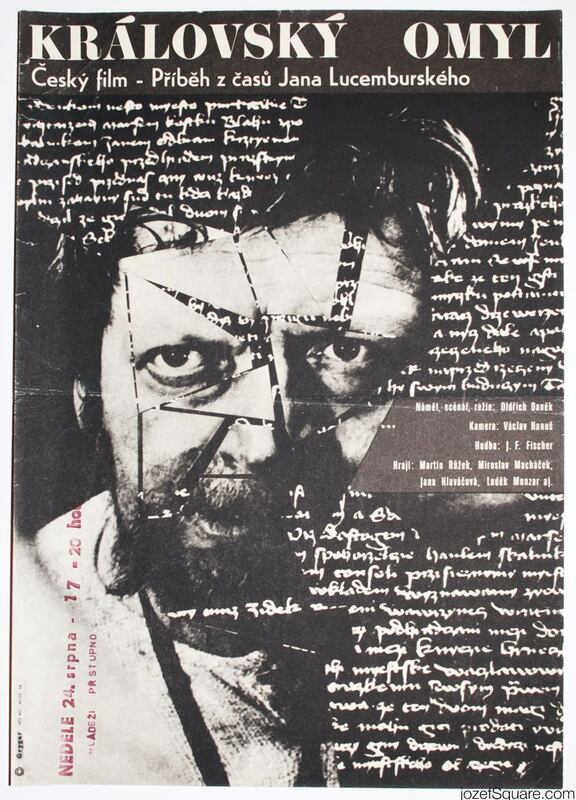 Mark of Cain movie poster by Karel Teissig, 1989. Fort Apache the Bronx movie poster by Karel Míšek, 1982. 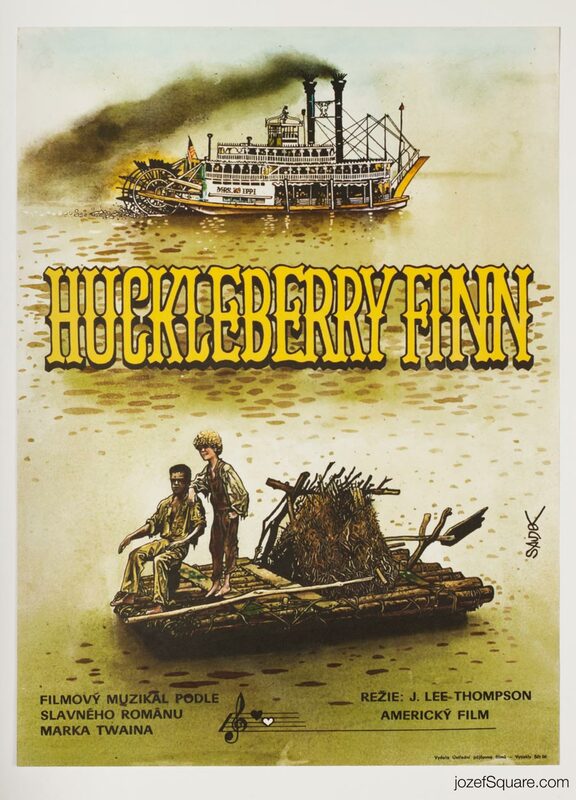 Huckleberry Finn movie poster by Karel Saudek, 1977.
please type – 500 instagram posts – in checkout. free shipping on multiple orders. 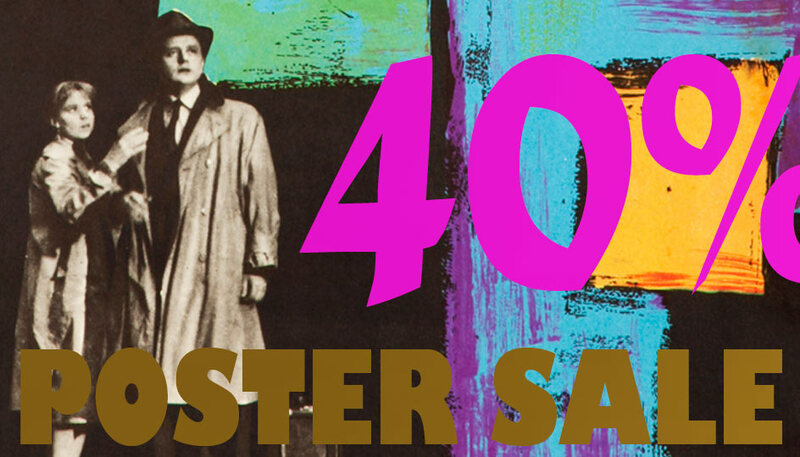 Movie Posters Sale, 40% off your basket. 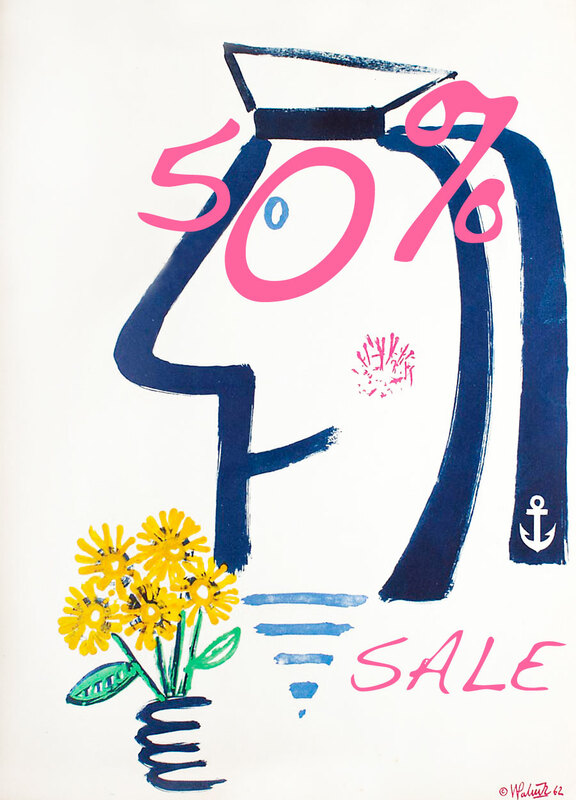 Enjoy 40% discount on any movie poster available in our online archive. 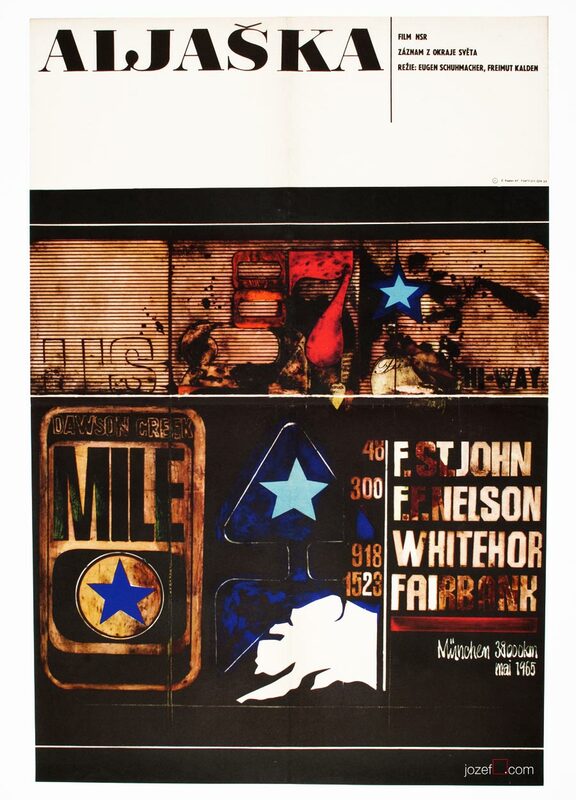 Take advantage of our Poster Sale and get your hands on some of the best designs in the history of poster art. – into a coupon field when checking out. Movie Poster Sale will run until the end of March. Enjoy browsing! 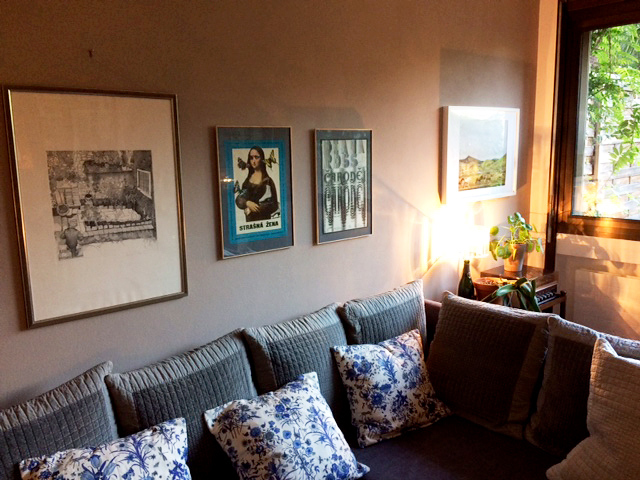 for inviting us to her cosy little “showroom” and for taking such a beautiful care of two lovely movie posters from our archive. They look magnificent in their new surrounding and such a good combination, too. Two phenomenal, possibly most prolific poster designers of the time, both with full bag of poster awards and hundreds of poster designs in portfolio. We can be only astonished by amount/inventivness/variety of their work. While Zdeněk Ziegler was very much attached to graphic design, Karel Vaca was attracted to fine art, specially to abstract painting. 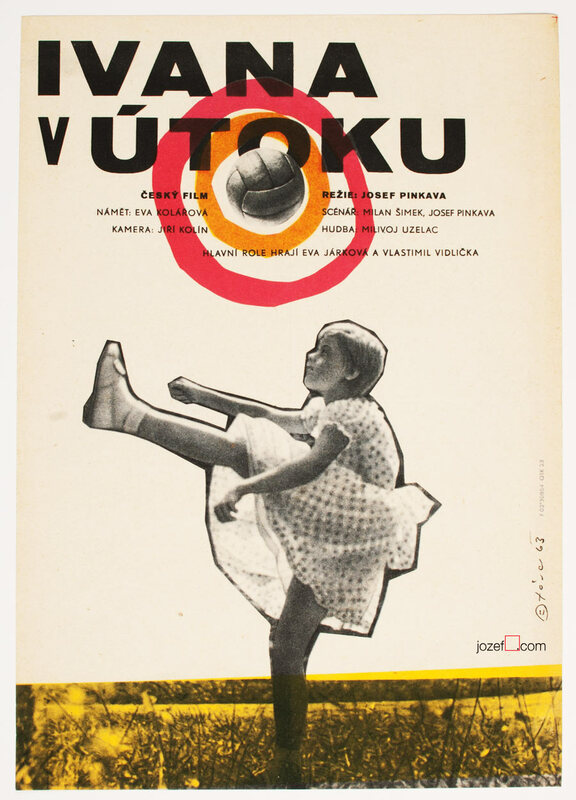 Each of them influenced many and helped a lot with introducing Czechoslovak poster design internationally. Zdeněk Ziegler’s poster design for The Wizz consists of only typeface, combination of Good Vibrations and Manuscript Caps (out of interest please, see also his Flashdance poster). 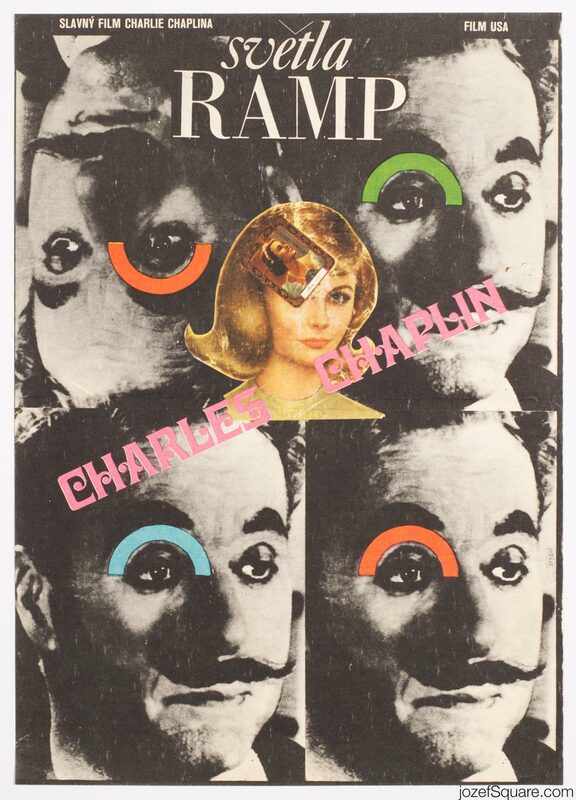 It is excellent example of how far he would go when designing movie posters, truly fascinating. No words to what Karel Vaca did to Mona Lisa either :), such an intriguing, humorous artwork. It was possibly the first 60s Vaca’s poster we were holding in our hands few years back, it is deeply engraved on mind ever since. Karel Vaca was playing all over, nothing was sacred to him and most of the time one just stay speechless observing his art. Most adorable, thank you so much for showing them to us! 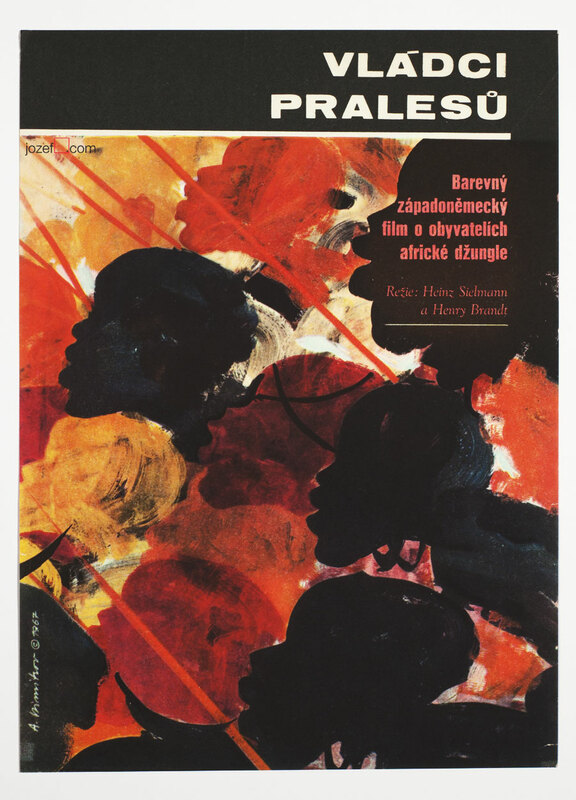 Please explore poster artwork of Karel Vaca / Zdeněk Ziegler in chronological order. For all the information on typeface we thank to FONTS IN USE archive. we’ve been beautifully touched when we’ve received your fantastic snapshots. Movie posters look fabulous, to add, black fits perfectly to both. 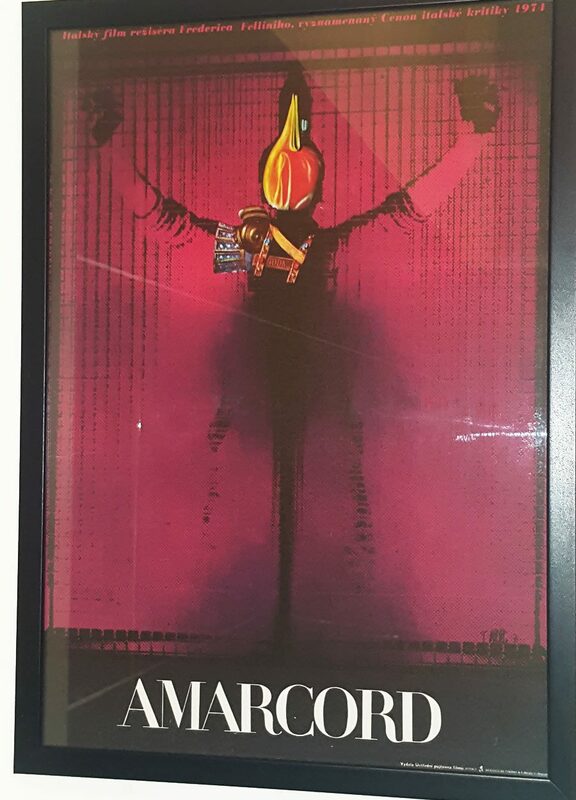 Josef Vyleťal‘s Amarcord looks absolutely impressive, one can study any of his movie posters by millimetres. Only very recently we have learned that he was also designing movie sets for such a great directors as Juraj Jakubisko or Juraj Herz, his abilities were endless. 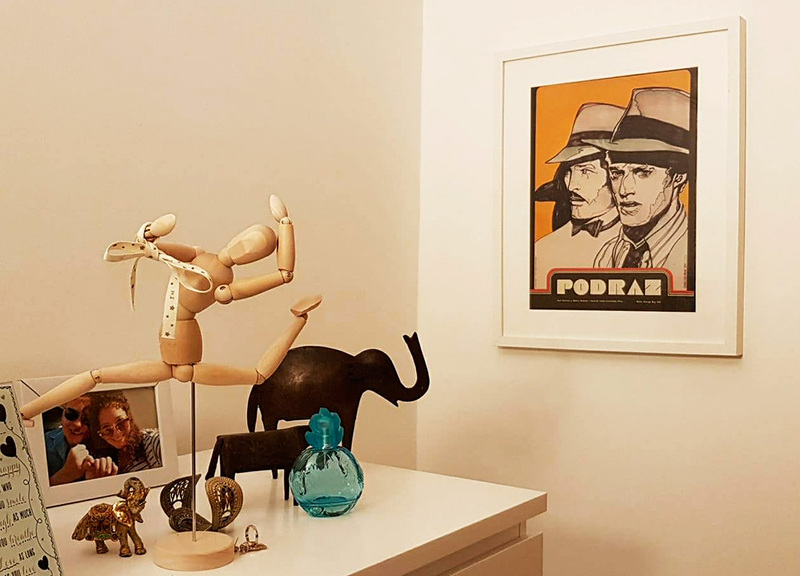 Must say thanks to Communist regime and their ridiculous, believe if they would not be around, mr. Vyleťal is happily painting his surreal paintings and we would not be able to explore those beauties he created, well, who knows. 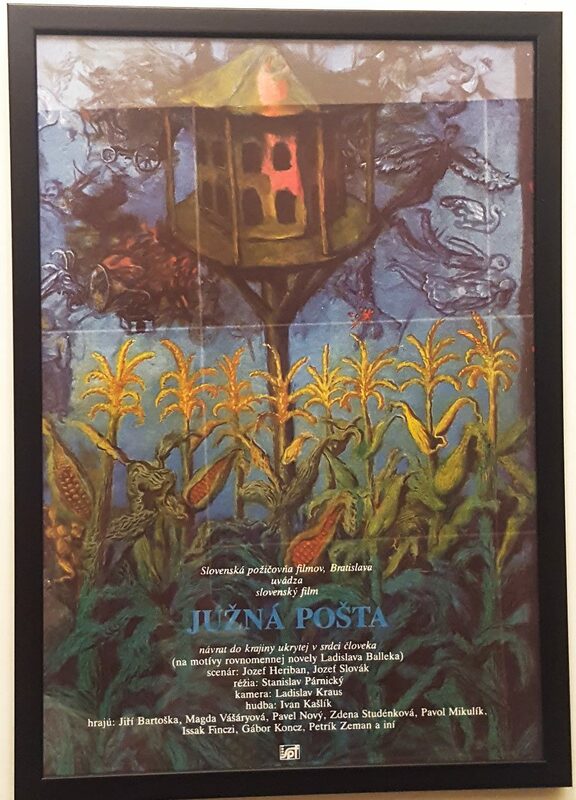 Different story to movie poster designing of Slovak fine artist Peter Kľúčik. 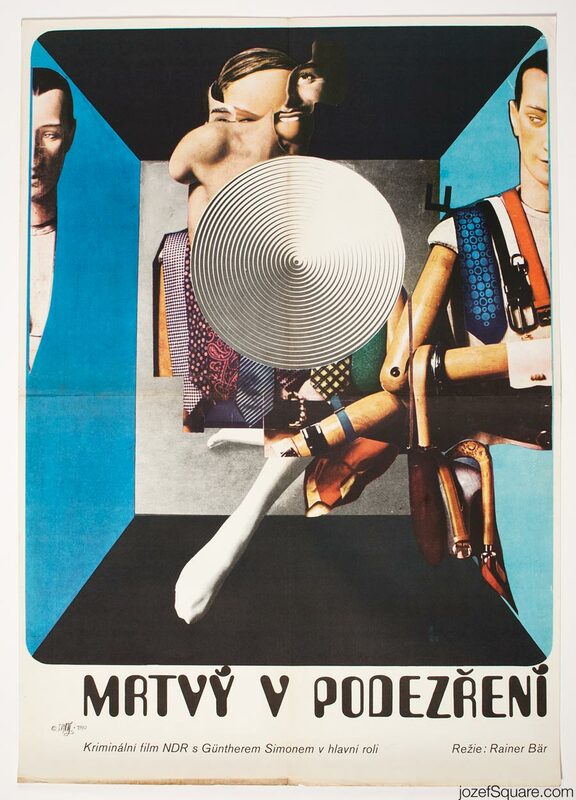 His portfolio unlike that of Josef Vyleťal’s with over hundred posters (1964 – 1979) consists of only 5 illustrated movie posters (late 80’s). His main focus was lying on book illustration (many wonderful children books) and ex-libris that are full of surreal, unpredictable, sometimes even bizarre humour. 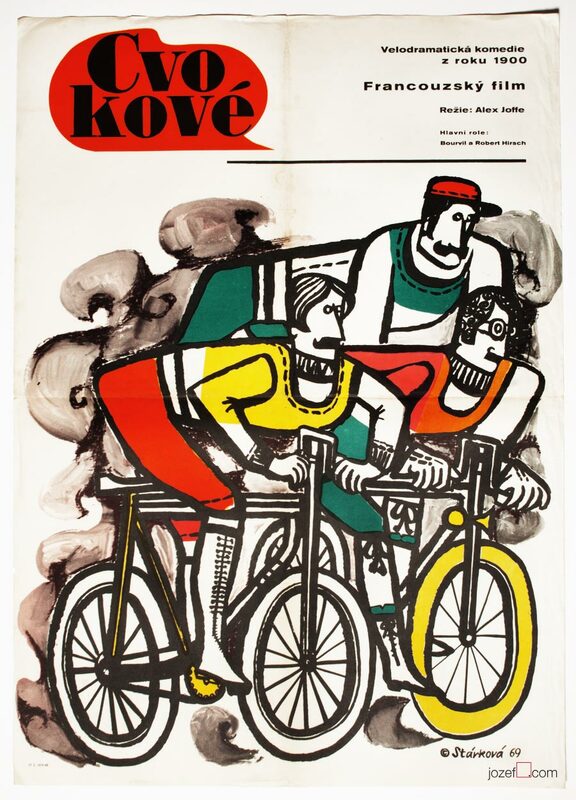 There is great archive of Peter Kľúčik’s artwork in online archive of National Slovak Gallery. Thank you for taking such lovely care of them !! 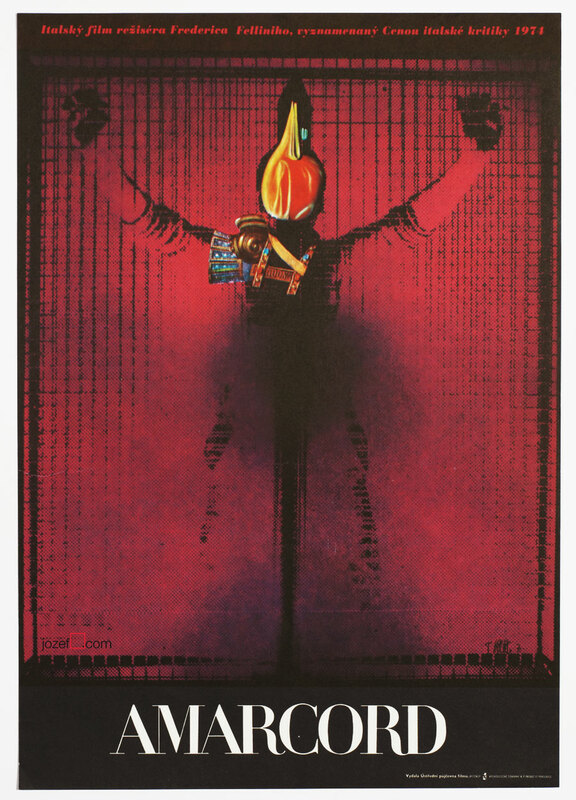 Amarcord / Surreal poster artwork by Josef Vyleťal, 1974. Magical poster illustration by Peter Kľúčik, 1987. 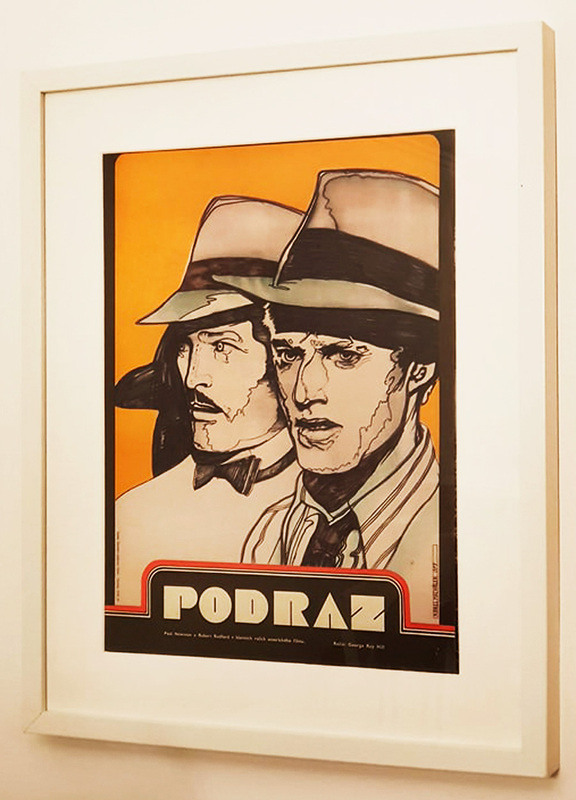 Please explore fascinating movie posters of Peter Kľúčik / Josef Vyleťal in chronological order. 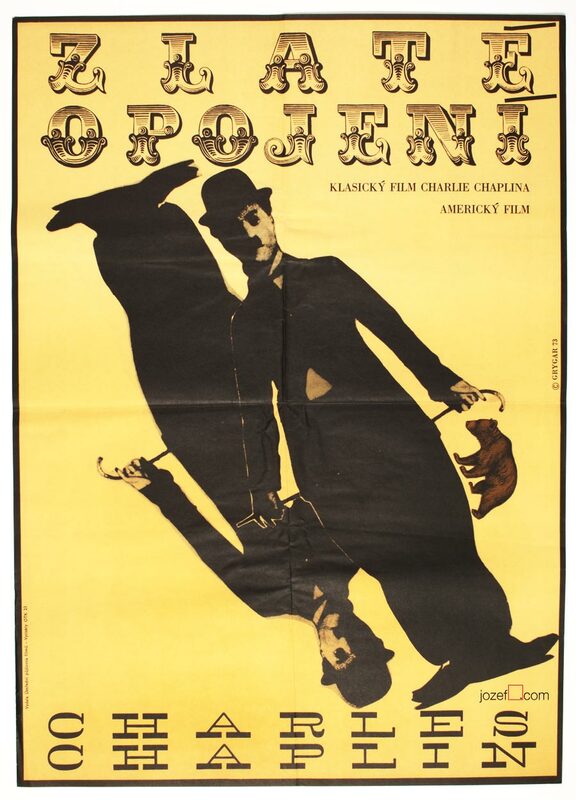 Or see other interesting curiosities in our Federico Fellini / Italian Cinema archive.